Take the winding arcades of tree-lined streets, one-of-a-kind cafes, local eateries and the charming brick facades of Hamilton Park's historic neighborhood. 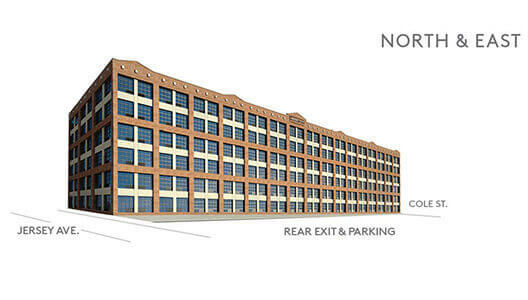 Add industrial-chic, stylishly individual living spaces - architecturally elevated above a historic railroad embankment. Its namesake - Embankment House - is the vibrant new address poised to infuse Hamilton Park with ever more style and verve. Embankment House's well-appointed, spacious living spaces feature modern finishes, including warehouse-chic windows and white oak flooring. All apartments feature in-unit washer and dryers. Entertainment-worthy kitchens showcase quartz countertops, beautifully finished European-inspired wood cabinetry and stainless steel appliances. Loft-like banks of industrial-chic windows allow cascading sunlight by day and frame dazzling cityscape views by night. White porcelain subway tiles evoke the nostalgia of a bygone industrial era, with distinct contrast to unmistakably modern bath fixtures and porcelain tile flooring. 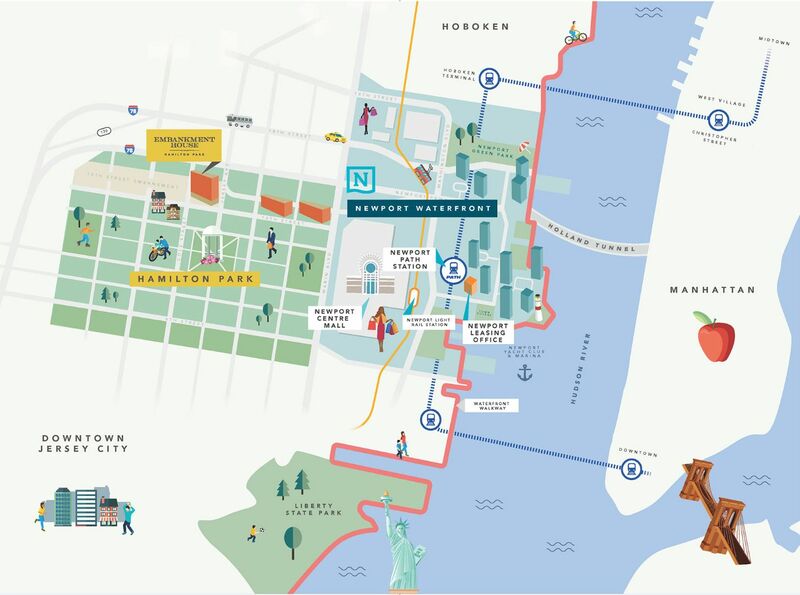 Since the time of its inception in the early nineteenth century, the Victorian-era Hamilton Park has remained the heart of the Hamilton Park Historic District in downtown Jersey City. Today, the park has a large gazebo, basketball court, children's playground, dog parks as well as tennis courts, and regularly hosts farmers' markets, craft fairs, theatrical performances and culinary festivals. 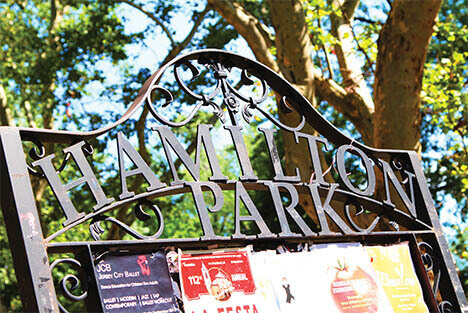 Tree-lined sidewalks, local shops, cafes and neighborhoods eateries fill the streets of Hamilton Park, invigorating the venerable brick facades with life and vitality. 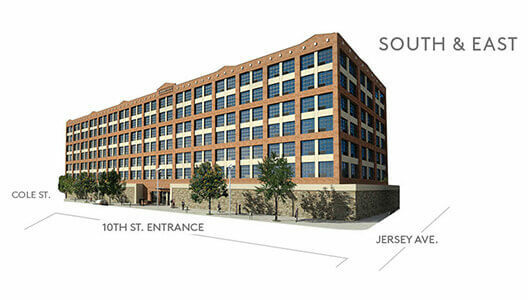 Constructed at the turn of the 20th century as part of the once-mighty Erie Railroad freightway, the historic Embankment played a key role in shaping Jersey City and in the development of the Port of New York and New Jersey. The Embankment carried freight across six blocks to the Railroad&apos;s Pavonia Yards and Terminal, located on the Hudson River directly across from Manhattan. Steam-powered locomotives chugged upon it night and day, high above the streets of Jersey City, moving coal and grain to the waterfront. Soon after World War II, competition from trucking and containerized shipping rendered much of Jersey City&apos;s railroad infrastructure superfluous; passenger traffic ceased in the early 1950s, and freight trains endured until the 1970s. No longer do the strident sounds rush by day and night, leaving a harmonious neighborhood in its stead. The enduring 400-foot, sandstone retaining walls stand today with proud historic vestige as the namesake address for a new era of appointed village living — Embankment House.